Original art by Maro Lorimer is on display at The Studio on Gulf and Pine this month from July 14 to August 14 September 1, 2012. The selection of pieces are from new and recent works in acrylic on canvas by the artist. 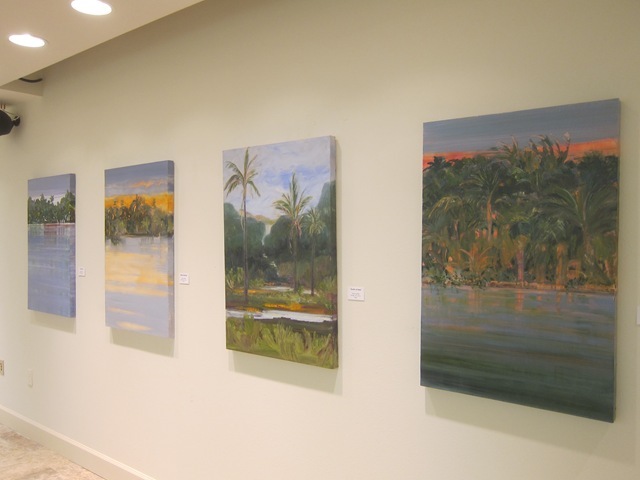 The solo show is presented as “Water and Trees” and is a collection of themes including impressions of tree-lined waterfronts, alluring shorelines, and rich tropical scenes. The series expands on prior works that focused on water only and also distant views of shores. A striking diptych is of Anna Maria Island from offshore, with deep blue water and sandy shore. Other pieces do not represent specific locations but are suggestive of local, Florida or indeed international vistas. More abstract presentations are included in the exhibition that challenge the mind to think beyond the literal. The blending of real and fantastic scenes draw the observer in to the perspective of near, far and infinite. 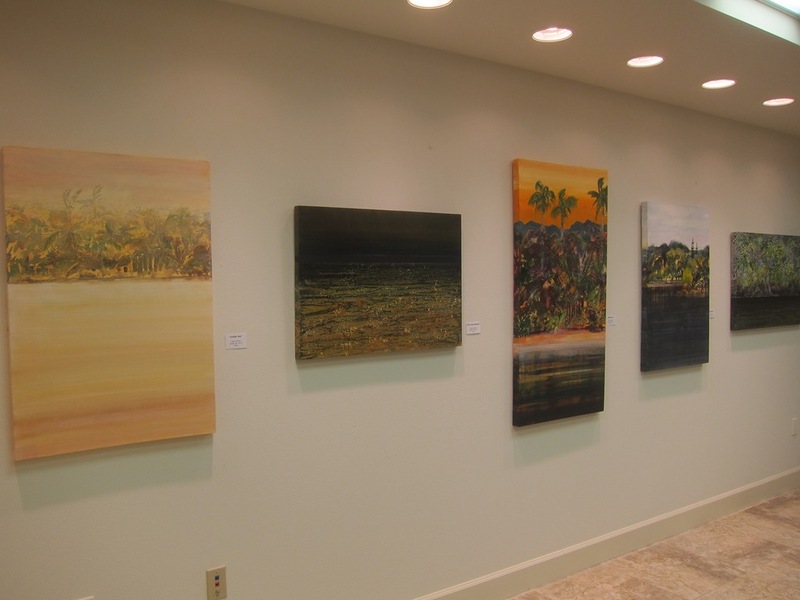 The Studio at Gulf and Pine at 10101 Gulf Drive, Anna Maria, is open this summer on Fridays and Saturdays 1pm to 5 pm. For gallery information call The Studio at 941-778-1906. This entry was posted in Arts and tagged Anna Maria Arts, Anna Maria Island art, Art exhibitions, Beach art, Florida art, Galleries, Studio at Gulf and Pine on July 17, 2012 by Mike.